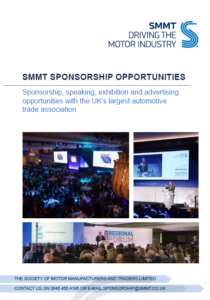 SMMT offers a number of tailored sponsorship and exhibiting opportunities for both members and non-members to help their businesses grow. Prices vary depending on the package required and discounts are available for members and/or sponsoring multiple events. View all available packages in our booklet here. Open Forum was an excellent opportunity for networking and developing valuable new relationships with senior representatives from the tiers of the UK automotive supply chain. Exhibiting has proven invaluable to ARRK in making new contacts and helping us to promote our range of product development services.